Every day millions of us rely on couriers to deliver urgent documents and parcels to others around the world. The courier industry is one that relies on various processes to operate as planned. That is a strict need so that couriers can guarantee a time-definite service. The industry relies on timed deliveries to make a profit. These firms can make a big profit by solving people’s document and parcel transport problems. If you are thinking of becoming self-employed, setting up a courier business could be a viable option for you. But what if you don’t own a van? 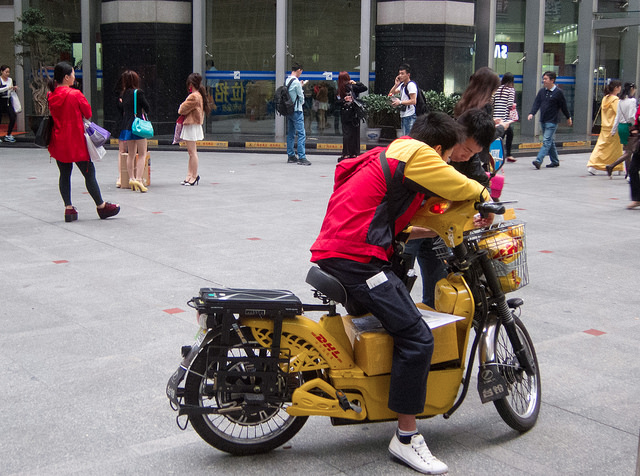 Many self-employed couriers make a living delivering documents and small parcels using their motorcycles. Do you want to work for yourself and use your motorcycle as a tool of your trade? If so, have you ever considered becoming a motorcycle courier? Why become a motorcycle courier? At this point, you are doubtless wondering whether this is the right career move for you. After all, there are scores of courier companies that you will have to compete with, right? The truth is; most courier companies do not offer a motorcycle delivery service. There are many places where vans and trucks cannot access due to traffic or parking limitations. In those cases, the obvious choice is to use two-wheeled transport. Motorcycles are handy at weaving around traffic and going down narrow side streets. And when they’re parked up, they don’t cause an obstruction like cars and bigger vehicles do. A lot of individuals and businesses use motorcycle couriers for urgent same-day services. To them, motorcycles represent speed and agility. As a result, they are happy to pay the extra costs to get their documents and parcels delivered on time. Regardless of where you live, there is a definite gap in the market for quality, reliable motorcycle couriers. There are many reasons why people use motorcycle couriers. For instance, you can hire one to collect visa documents or a passport from a government office and have them delivered the same day. Lawyers use them to send urgent documents to clients or courthouses. What do you need to become a motorcycle courier? The main thing you need is, of course, a motorcycle! The make and model you choose for the job is up to you. But it needs to be a model that is powerful yet contains storage facilities for documents and small packages. A lot of motorcycle couriers tend to use Harley-Davidson models for the job. They are well-known and reliable bikes that are more than capable for the job. Before you head over to your local dealer, be sure to get some Harley-Davidson bike insurance quotes first. The next thing you will need is a satellite navigation device, otherwise known as a sat-nav. These handy gadgets will ensure you get to your destination as quick and safe as possible. And they negate the need to stop and look at out-of-date paper maps! TomTom and Garmin are just two of the biggest names to consider. Whatever model you opt for, make sure that you can buy a fitting kit for your chosen motorcycle. And ensure that it has a long battery life! But don’t worry if it doesn’t, because you can buy charging kits for motorcycles. Another gadget that you need to attach to your motorcycle when you’re riding is your cell phone. Pretty much all motorcycle couriers use smartphones like the Apple iPhone. They use a wireless Bluetooth connection to their smartphones so that they can answer calls handsfree. Both your satellite navigation device and your cell phone need to have some kind of waterproof case to protect them. The last thing you want to do is spend hundreds of dollars on new gadgets often because of water damage! Your clients will want to know that their consignments are safe in your care. You need to store any documents and small packages in secure, waterproof bags that can get stored in your motorcycle. Now that you have the means to travel and store your consignments, the next consideration is what to wear. 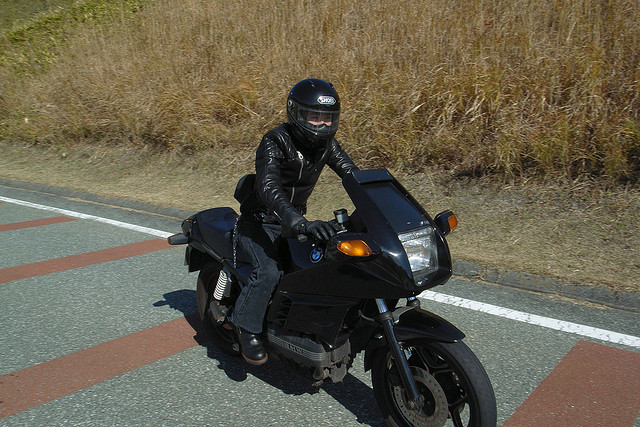 As a motorcycle rider, it is important that you wear protective gear during the course of your work. After all; riders are more exposed than car drivers and other motorists! Choose a good quality helmet that meets CE and US DOT safety standards. The leather jacket you wear should have protective pads on the shoulders, back and elbows. I recommend having two sets of gloves; one for summer use, and one for the colder seasons of the year. For pants, you can either wear leathers or a two-piece textile alternative. And the boots you wear should offer maximum comfort. Take your time when trying on different elements for your riding gear. Comfort and safety are the two main priorities you need to cover. The main bugbear that all motorcycle couriers have is insurance! As you are using your bike in connection with your business, you can’t use standard insurance alone. You will need a policy that covers you for business use. You will also need a separate insurance policy that covers any consignments you carry during the course of your work. Such policies are often called “goods in transit” insurance policies. The reason that insurance is a sore talking point for motorcycle couriers is the cost. Because there is a high risk that you’ll make a claim due to the amount of riding you do, insurers will charge you a lot of money for your policies. Despite this obvious downside, if you have regular work you’ll cover those expenses in no time. And you’ll still make a healthy profit from what you do! Once you have registered with the IRS and got a tax number for your new business, you can start to advertise your services. I recommend having a high-impact website and have business cards with your website address on there. If you’re not that great with written English, hire a copywriter to produce some decent content for your website. You should also use social media to advertise your services. And for offline advertising, do some direct marketing to local businesses and organizations.